Why should a Martha's Vineyard home buyer use an Exclusive Buyer's Agent NAEBA member? who is a member of NAEBA? The purchase of real estate in one of our six Martha's Vineyard towns (Edgartown, Oak Bluffs, Vineyard Haven, West Tisbury, Chilmark or Aquinnah) is a major transaction with many complexities and details that should be handled. It may very well be the largest investment transaction in your life. Entering into the home buying process without exclusive representation by a buyer agent is like entering into a complicated maze without a knowledgeable guide. There are many choices of path and direction and you can make a lot of wrong turns wandering around from one dead end to another. Sellers have always been able to retain exclusive representation for the sale of property. By signing an Exclusive Right To Sell Agreement, with agreement of monetary consideration, the seller became the client of the exclusive seller’s agent, and the seller's agent is now the fiduciary of the seller client. Historically and up until 1987, buyers were not represented; they were considered customers. As a customer, the underlying implied consumer caution was and is ‘caveat emptor’ – let the BUYER BEWARE. In 1990 the Massachusetts Board of Registration of Real Estate Brokers and Salespersons created the first written agency disclosure form, and in 1993 they revised the agency disclosure form to recognize buyer agency. The National Association of REALTORS® (NAR) created the Accredited Buyer Representation (ABR®) designation to coincide with the change in Massachusetts agency law in 2005. Simply stated the law says, if a real estate agent doesn't represent the seller, they represent the buyer. But it is not that cut-and-dry, as you will soon realize. Any licensed real estate agent can earn the ABR® designation, but many of them have not maintained their REBAC membership and therefore have not kept apprised of current events and education. A title is only a title unless you walk the talk. Only a licensed real estate agent or broker who adheres to a single minded business model Exclusively Representing Buyers can consider themselves a true ‘Exclusive Buyer Agent’, and only an Exclusive Buyer Agent (EBA) can be a member of the National Association of Exclusive Buyer's Agents (NAEBA). Exclusive Buyer’s Agents (EBA’s) are required to adhere to a strict EBA Code of ETHICS. Think about this: Most often, when you contact a traditional real estate company, isn’t it to inquire about one of their listed properties that you saw in a print ad or on the Internet? Did you know the agent/broker you are contacting represents the Seller, not you? To them you are a customer, not a client. 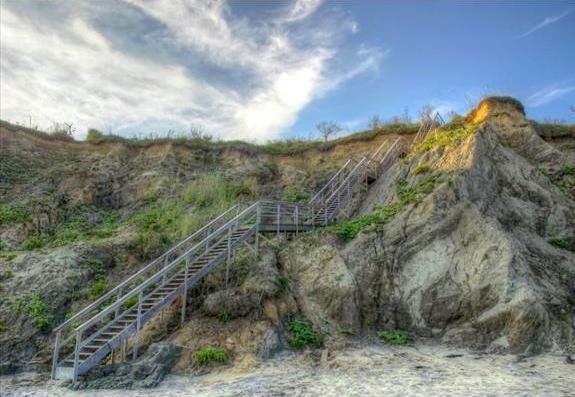 On Martha's Vineyard, you will need professional assistance finding and buying your dream home? You want buyer representation. You contact that same traditional real estate agency, perhaps because you like the look of their website or the name of their company. Maybe you just flipped a coin. You are not calling about one of their listed properties. You ask to speak to an agent and tell him or her you want buyer representation. The agent responds enthusiastically, ‘I’m a buyer’s agent’. Wow! That was easy. But, are all buyer's agents the same? Okay, the agent gave you their schpeal and got you to sign their exclusive buyer agency agreement. You now feel confident thinking your best interests will be represented. Is that really true? What if your so-called 'exclusive' buyer agent gets you interested in a specific property listed by their real estate office and you want to look at it? Will your buyer agent still represent you? No they won't. BUYER BEWARE: Some agents may "bait" you telling you they will be your Buyer's Agent, and then "switch" you to what amounts to a Transaction Broker Relationship as a Dual Agent, which means they stop representing you from that point on in any way and at any time? But don't they already know many personal confidential facts about your financial and personal situation? Why take a chance on being compromized when you can hire a true Exclusive Buyer Agent who never represents sellers and takes no property listings. Did they explain to you before you signed the contract that they had the right to transition to dual agency and did you consent? They should have disclosed that to you before you signed the contract, and you should have said "no way, no how, no thank you'. Anyway, they will explain to you how they are now going to act as a ‘Disclosed Dual Agent’ and work with both you and their seller. How can they do that and still represent YOUR best interests? They can’t. The duties of all real estate licensees to their clients are remembered with this acronym: OLD CAR. Obedience – The duty to carry out all lawful instructions of the Client. Loyalty – The duty to act in the best interest of the Client. Disclosure – The duty to disclose all information relevant to the Client. Confidentiality – The duty to keep the Client’s confidential information, CONFIDENTIAL! That duty survives termination of the agency relationship; it is forever. However, that duty does not apply to legally required disclosures such as known physical hazardous property conditions. Accountability – The duty to protect, isolate and account for all money, documents, or other personal property provided by the Client to the agent. Reasonable Care and Due Diligence – The duty to act competently and be capable of performing the duties undertaken on behalf of the Client. As a Dual Agent they will not have the ability to satisfy fully the duties of Obedience to lawful instructions, Loyalty, (full) Disclosure, and Reasonable Care. They shall only owe the duties of Confidentiality of material information and Accountability for funds. When a real estate agent takes off the buyer agent's hat and puts on the dual agent’s hat, they now represent neither you -- the buyer, nor their seller. The agent assures you they will not give any advantage to either party and they will keep all information confidential. Did you already tell the agent the maximum amount you had to spend for a property or any other tidbits you would not want the seller to know about you? Allow me to pose a question using my favorite analogy: Two sports teams sharing the same locker room, and the same coach. Is the coach really going to be able to keep one team’s plays a secret from the other team? Which team will be favored and get the advantage? What kind of game do you think they are going to be playing? It sounds to me like this is a job for a Facilitator, a deaf mute or Jimmy the Greek. Perhaps your best bet would be to engage the services of a Buyer's Agent who will represent you exclusively, someone who is not conflicted and only coaches one team throughout the entire game. I look at every commitment I make to a buyer client as preparation for the Super Bowl, and I want my team to win. I’ve done my best to explain the eccentricities of buyer agency, but you’re probably still confused – most people are. And you are probably suspicious too. That's why it’s not surprising more and more homebuyers are hiring true Exclusive Buyer Agents to help them find that perfect home. Without exclusive buyer advocacy, in the time it takes you to find and buy a home, you would have to learn and put into practice a special set of skills an experienced full-time real estate professional spends years honing. To help you buy a home, your exclusive buyer's agent must have a vast working knowledge of the Martha’s Vineyard real estate market, including price trends and neighborhood conditions and amenities. They need to know the differences in each town’s zoning bylaws, the differences in waterfront properties and water view properties, the impact of conservation restrictions, as well as rules and regulations concerning planned community association membership or condominium ownership. They also have to have an understanding of real estate law, financing, taxes, insurance and negotiating. The best exclusive buyer's agents are also "street smart" in the psychology of home buying and the stresses that accompany the often-esoteric nature of the process. When you have a question, concern or idea as you search for your new home, your exclusive buyer agent should be able to respond either directly or by referring you to someone who can help and give you an authoritative answer. An exclusive buyer's agent is responsible for protecting the buyer-client's best interests (and wallet) at all times. Research by the National Association of REALTORS® has shown that when a buyer's agent is used, the prospective buyer found their perfect home one week faster and examined three more properties than consumers who did not use an agent representing the buyer exclusively. The real value of being exclusively represented is not just when looking for the right property or formulating a negotiation strategy, but most importantly it is when following through with all the due diligence that is essential between the Offer to Purchase and the day of Closing. The devil is in the details and that where a good buyer agent proves their worth. Evaluate the specific needs and wants of the buyer-client and locate properties that fit those specifications. Assist the buyer-client in determining the amount that they can afford (pre-qualify), and show properties in that price range and locale. Assist in viewing properties -- accompany the buyer-client on the showings, or preview the properties on behalf of the buyer-client to insure that the identified specifications are met and furnish the buyer-client with descriptive information including explicit photos of the property the buyer-client is interested in exposing the good, the bad and the ugly details of the property and the property location. Using an exclusive buyer's agent also means that, when available, you will be shown homes that are For Sale By Owner (FSBO) by unrepresented sellers. Research the selected properties to identify any problems or issues to help the buyer-client make an informed decision prior to making an offer to purchase the property. An exclusive buyer's agent never wears rose colored glasses when working with a buyer-client. Advise the buyer-client on structuring an appropriate offer to purchase the selected property. Present the offer to the seller's agent and/or the seller on behalf of the buyer-client. Negotiate on behalf of the buyer-client to help obtain the identified property -- keeping the buyer-client's best interests in mind. Provide a list of potential qualified vendors (e.g. movers, attorneys, carpenters and contractors, environmental specialists, etc.) if these services are needed. Most importantly, SplitRock Real Estate will represent their buyer-client 100% throughout the real estate transaction and beyond. It might seem as though engaging an exclusive buyer's agent on Martha’s Vineyard Island means you are going to pay more -- but that is not the case. In most situations, an exclusive buyer's agent will accept the co-fee offered by the seller's listing agent. When no compensation is offered by the seller, your exclusive buyer agent will build the fee into the Offer to Purchase contract as a condition of sale, and disclose to the seller the net Offer amount. Personally, I think the transaction would be a lot cleaner if the seller and buyer fees were negotiated separately. If you think about it, all fees come out of the same bag of money and it’s the buyer that brings that bag of money to the game. While there is still some argument that receiving compensation from the proceeds of the transaction paid by the seller opens the possibility of conflict of interest or leaves the incentive for a higher sales price, true exclusive buyer's agents counter by pointing out that a $10,000 savings for the buyer only amounts to a $150 difference in commission for the exclusive buyer's agent. They feel that the future business they will derive as a result of your satisfaction with a job well done is priceless and certainly worth the loss of a few hundred dollars. Besides, when you are an exclusive buyer's agent, your responsibility is to get the best terms at the best price and put the buyer's interest above your own --- THAT IS THE JOB! Neglecting Agency Disclosure: By law, in Massachusetts all real estate licensees must present a potential buyer with the Massachusetts Mandatory Licensee Consumer Relationship Disclosure at the first personal meeting to discuss a specific property. Any responsible agent will present you with that form disclosing the agent’s relationship. There are three options: 1) The agent is representing the seller; 2) Offering buyer representation; 3) To be a Facilitator. This means the agent represents neither the buyer nor the seller. As a consumer, you can decline signing the disclosure form; however, signing does not imply a legal agency relationship. The agency disclosure form is confusing and is generally misunderstood and misrepresented by many real estate agents. This is not a contract and does not establish a legal fiduciary responsibility. I repeat, this is not a legally binding contract. Only by entering into a buyer agency agreement (read: contract) does the agent have a legally binding fiduciary responsibility to the client. Otherwise, you are just a customer. It is expected that you will be treated fairly, but the agent’s obligations to a customer are limited to Honesty, Agency Disclosure, Material Fact Disclosures and Accounting of Funds. “The buyer should be aware that wrongful action by the real estate agent or sub-agents may subject the buyer to legal liability for those wrongful actions.” That’s a direct quote taken from the Massachusetts Mandatory Licensee Consumer Relationship Disclosure. Avoiding Dual Agency: More and more, buyers are hiring an EXCLUSIVE Buyer's Agent to avoid "Dual Agency". In a recent on-line survey conducted by Zoomerang who gathered information from 2,100 home owners between the ages of 18 and 55, thirty-seven percent (37%) were unaware that in some cases real estate agents can represent both the buyer and seller in the same transaction by what is called "Dual Agency”. Put simply that means the agent (or agents) are working on both sides of the fence. For example, an agent with ABC Realty may represent the seller, while another agent (or the same agent) also with ABC Realty represents the buyer. The word representation is used, but what they really mean is ‘limited’ representation – very limited. In a Dual Agency situation, both the buyer (you) and the seller must agree to the arrangement and the disclosed dual agent has to keep the confidence of both parties. Massachusetts law prohibits undisclosed dual agency. 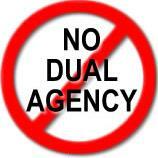 As I said before, Dual Agency does not make sense to me. How can an agent be an ‘exclusive’ agent for either the buyer or the seller if at some point that agent will have to alter the agreement because the agent or broker has a relationship with both parties, but is now expected to withhold confidential information about the buyer or the seller. The agent’s relationship to the buyer then becomes one of no relationship: the agent is now acting as a Transaction Broker or Facilitator. A Transaction Broker or Facilitator is not an agent of the buyer and the broker is not acting in a fiduciary capacity. Furthermore, it is understood that the agent is not an advocate for the interests of either the buyer or the seller. Unless the buyer and seller are totally naïve, this switching of hats surely belies a betrayal of trust. Disclosed dual agency is legal in many states but as you can see, it comes with an inherent conflict of interest as the agent, broker or company attempts to fairly exercise fiduciary duty, represent two opposing clients and collect the full commission. If this is confusing to you, don’t you think it is also confusing to the real estate agents? I believe that eventually sellers are going to refuse to consent to dual agency, and I certainly think buyers should not consent to dual agency. After all, the time when you most need advice and guidance is when you find that perfect property. That is not the time for an agent to say, I can’t help you anymore – you’re on your own. In the case of SNIDER vs OKLAHOMA REAL ESTATE COMMISSION, June 1, 1999, the Oklahoma Supreme Court said: "Sellers' agents and dual agents do not and cannot by law give a buyer the same degree of loyalty as an agent who acts on behalf of the buyer". In order to completely remove the potential of any conflict of interest, exclusive buyer agencies like SplitRock Real Estate work 100% exclusively with buyers and do not list homes for sale. What about the Buyer Agency Agreement? When interviewing a buyer's agent it is important to ask two questions before you agree to sign a Buyer Agency Agreement: 1) Do you or your firm take listings? 2) Do you practice dual agency? If the answer to these questions is 'yes', you will not be represented by an EXCLUSIVE Buyer's Agent. As I understand the definition of the word EXCLUSIVE, it means single, sole, not divided or shared. Many brokers are still misusing the term EXCLUSIVE in order to capture a buyer. They offer an EXCLUSIVE Buyer Agency Agreement (with consent to Dual Agency). What the heck does that mean? That is like saying, I’ll be married to you, but if I see someone I want to fool around with, I’ll do it. I don’t know about you, but my wife would have none of that and I am perfectly happy being her EXCLUSIVE husband. I prefer to keep my life simple and be respectful of consumer intelligence. Buyers' Agency Clause: I want to caution you on one potential problem with signing a buyer's agency agreement or exclusive buyer's agency agreement contract. There may be a blanket clause stating that the agent gets a commission on any home purchase, no matter what and no matter where. If you think it is likely that you will find something without the help of the agent then you may want to specify in the agreement that a For Sale By Owner (FSBO) home you find on your own will not require payment of the standard commission. You can negotiate an adjusted commission for exceptions if your agent agrees. You also may want to stipulate the geographical areas your relationship covers. For example, if you buy a property on Cape Cod, you may not want the counsel of your buyer's agent and do not want to owe the agent a fee. SplitRock Real Estate can refer you to a competent exclusive buyer's agent on Cape Cod, or anywhere else in the USA. You can also go to The Buyer's Voice, The Buyer's Choice to find an EBA in another area of the country or state. Once you are on the NAEBA website go to the 'find an agent' section. "In-house" Listings: Another word of caution: If you are working with a traditional agent (or listing agent) rather than an exclusive buyer's agent, be aware that you might get a little harder sales pitch for their own listings, or the listings held by their brokerage firm simply because they are obligated to make every effort to "sell" their listings first --and they make more money that way, too. SplitRock Real Estate is an Exclusive Buyer Agency and our committed task is to find the best property, with the best terms, that best suits your needs no matter how long it takes. Release Clause: Make sure you have a "release clause" in your buyer's agency agreement just in case you find out you don't get along with your agent. This will allow you to sever ties without any future problems. 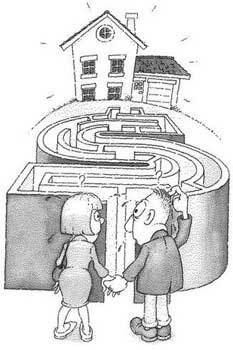 It is better to end an unhappy or uncomfortable relationship before you get too deeply into the home buying process. The contract may stipulate a protection period. This means, even if your contract is no longer in effect, should you buy one of the properties your buyer agent introduced you to during the term of that contract, being the procuring cause, the buyer agent gets paid. I think this is only fair. If you would like to learn more about Exclusive Buyer Representation please follow this link > What is an Exclusive Buyer's Agent?